Was held at Chandaria business innovation and Incubation center. Meetup open to All. 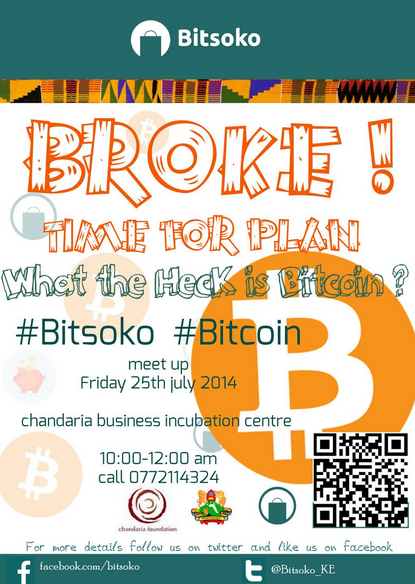 CCN -Bitsoko meetup will be held at Chandaria innovation and incubation centre, It is oppen to All Bitcoin University guys interested to Know more about Bitcoin And the Blockchain technology enthusiasts.